Despite the demanding workload of the MSc in Finance programme of the University of Liechtenstein, there will still be some spare time left that students have at their disposal to sharpen their career profiles by gaining some work experience, taking part in student competitions, expose themselves to an international environment via an exchange semester or deepening their expertise of finance topics by pursuing one of the programmes offered by finance associations such as the CFA institute, CAIA or GARP. Personally, I can only strongly recommend everyone to use the remaining free time next to pursuing the Masters degree to complete internships or work part-time. If you live in Liechtenstein, you are legally allowed to work next to your studies with an extent of up to 35 percent based on a full-time position, which equals around 60 hours per month. Additionally, it is allowed to work full time in the form of internships during the non-lecture periods. While it is not recommended to start working part-time next to the first semester of the MSc in Finance programme due to the extensive work load in same period, it is very wise to think about your future career path already during your studies. Students have the possibility to complete internships in between the second and third semester (from July to Mid-September) as well as in February in between the first and second semester. I took the advice to not start working during the first semester and decided to apply for an internship in the break between the first and second semester. My participation in the LSF Challenge in 2016 enabled me to complete an internship at ING Luxembourg in February 2017. 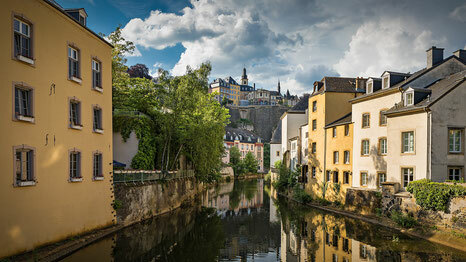 I reached out to one of the managers that I met during the challenge and after completing a further telephone interview and an online assessment test, I was able to secure an internship position in Luxembourg. My tasks involved research about the Swiss real estate market and I had the possibility to get a detailed insight about international asset transactions such as yacht financing and cross-border taxation solutions. After having completed the internship at ING Luxembourg, I decided to broaden my knowledge in the field of private banking and wealth management by applying for a summer internship in said field. I was more than happy to have successfully applied at Credit Suisse, where I worked as a junior relationship management intern in Zurich. A fellow student who was already working at the bank gave me valuable tips on how to structure my CV, cover letter, and how to pass the online assessment. He even wrote a recommendation letter to the responsible hiring manager. This was one of the occasion that proofed first-hand that collegiality, cooperation and a strong network are core values of the University of Liechtenstein. The summer internship took place in the international wealth management department that is responsible for the Austrian and German private banking offshore market dealing with high net worth individuals (asset under management range from 1 to 5 million CHF). My tasks during the internship involved the support of senior relationship managers, the the preparation of client meetings and organisational responsibilities, and I even had the chance to participate in some of the client meetings. It was a very informative internship in which I had the possibility to apply the theoretical foundations of the MSc in Finance programme in "real" situations, as well as to deepen my knowledge of alternative investments such as impact investing. Furthermore, I worked part-time at Liechtenstein Life after the completion of my summer internship starting in the third semester of my studies, which allowed me to gain knowledge in the fields of marketing and sales, and also to finance part of my studies. Currently, I work for Swiss Life in the investment controlling department next to writing my Master's thesis. In summary, I strongly recommend every future and current student to expose themselves as soon as possible to the corporate world, use the network the University offers and sharpen their career profiles by completing internships and working part-time.